I cannot even describe how happy I am to finally being able to write this post. I f you live in a cave and you don't know what Kiko is, well, it is the most famous make up brand in Italy and it's slightly becoming popular all over Europe and USA. After starting the online distribution, a first shop opened in London and has been followed shortly by more stores all over UK. London, Leeds, Guilford, Cambridge and few more, I kept checking for new openings but nothing, no Manchester to be seen...until yesterday, when I spotted this in the Trafford Centre (yes I know, it's Intu now but seriously how ugly is that name? It will always stay Trafford Centre for me). My Perfect Husband though I was having a stroke, I litterally jumped with joy. I shared the news on Instagram and seriously, every Manchester beauty addict is now counting the days as me. I don't know when the opening is, I hope it will be soon, the latest collections (Midnight Siren and Rebel Romantic) look absolutely incredible. To celebrate the opening of the store I have been waiting for such a long time, I want to introduce you my 30 days of Kiko: every day, for the next 30 days, I will publish a post of a Kiko product on Instagram. Some of them will have a review on the blog, some on Instagram, some will be part of previous collections and some are part of the permanent line: it will be a full immersion in the Kiko Cosmetics world. At the end of the 30 days, I am gonna do a giveaway of a Kiko product that will be revealed soon. So make sure you follow me on IG here. Are you ready for some Kiko? Hope so. we need to find out when! How did I miss this. 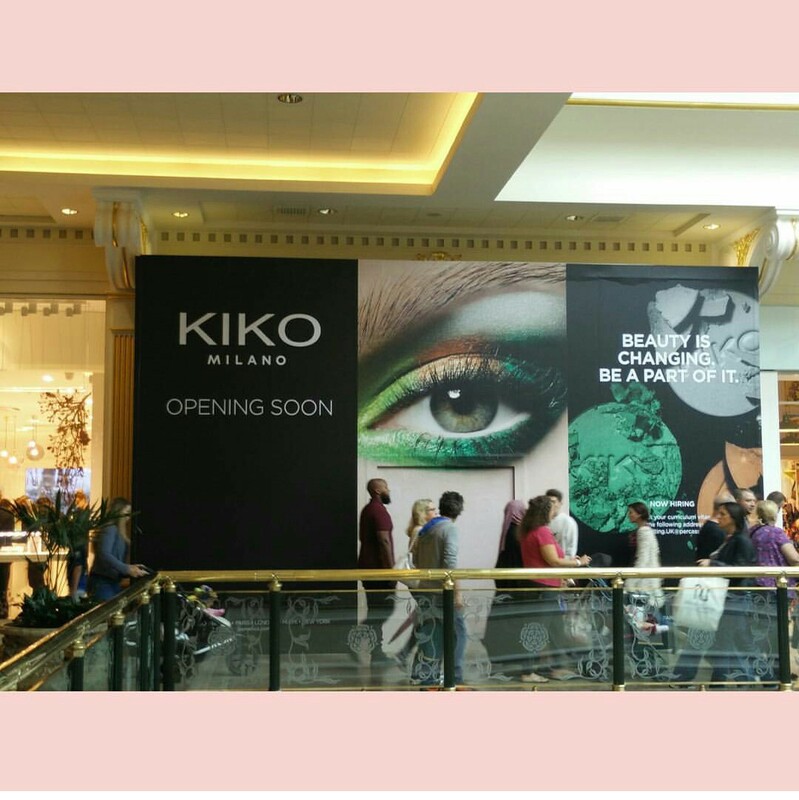 I am so happy Kiko is finally coming to Manchester. Oh & I agree it will always be the Trafford Centre to me too.